and also as a set of boxed 12 postcards at £5 each. UK Postage & packing for posters is £3.50. For one or two postcard sets £1.50. 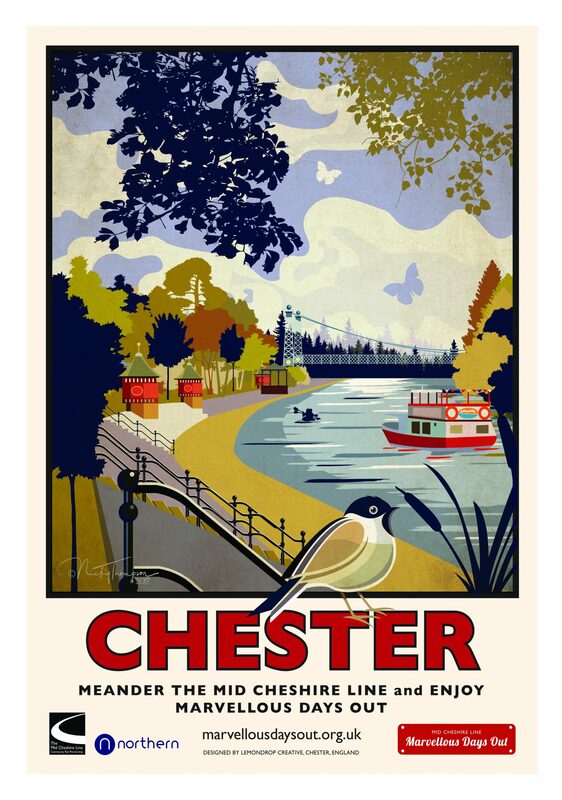 The Postcard Box Set includes all the posters excluding The Mid Cheshire Line and Chester Zoo – Elephants posters. 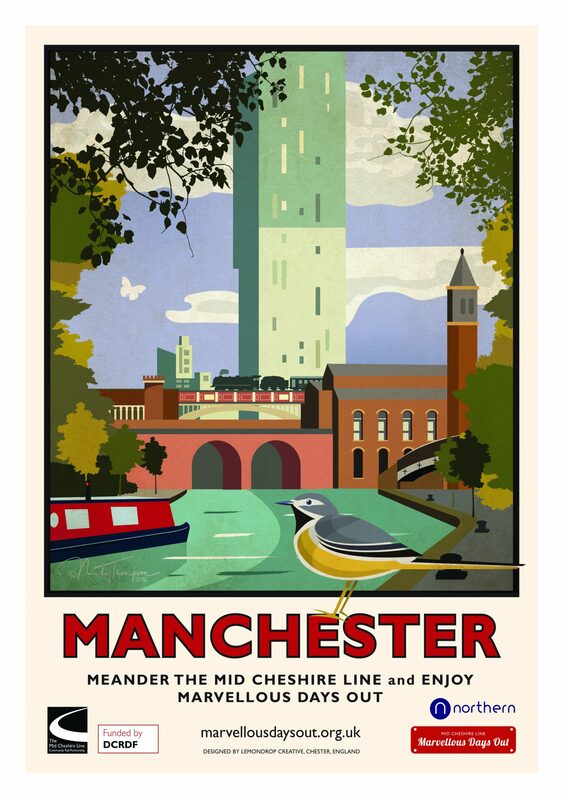 The Mid Cheshire Line incorporating the Nine Station Posters. We continue to develop other products for the Mid Cheshire Line. 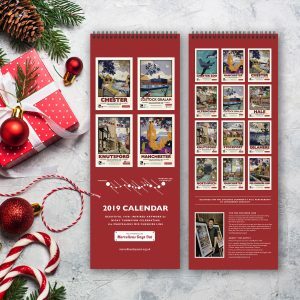 The 2019 Calendar is available at £9 from the Chester Visitor Information Centre, the Northwich Information Centre and the Knutsford Heritage Centre. 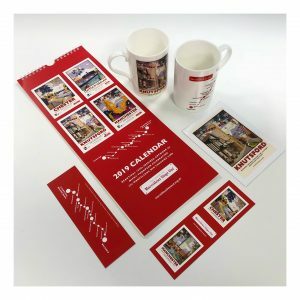 Our Knutsford Mug (at £11.95) and Knutsford Postcard (at 60p) are available from the Knutsford Heritage Centre. 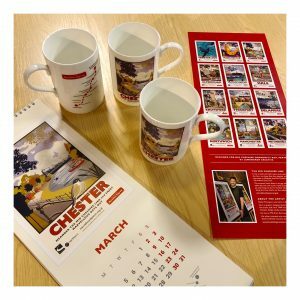 Our Chester Mug (at £11.95) and Chester Postcard (at 60p) are available from the Chester Visitor Information Centre. The Calendar and free bookmarks are also available at the Knutsford Heritage Centre and Chester Information Centre. Our other products are available to buy from the Chester Zoo shop and from the Chester Visitor Information Centre. 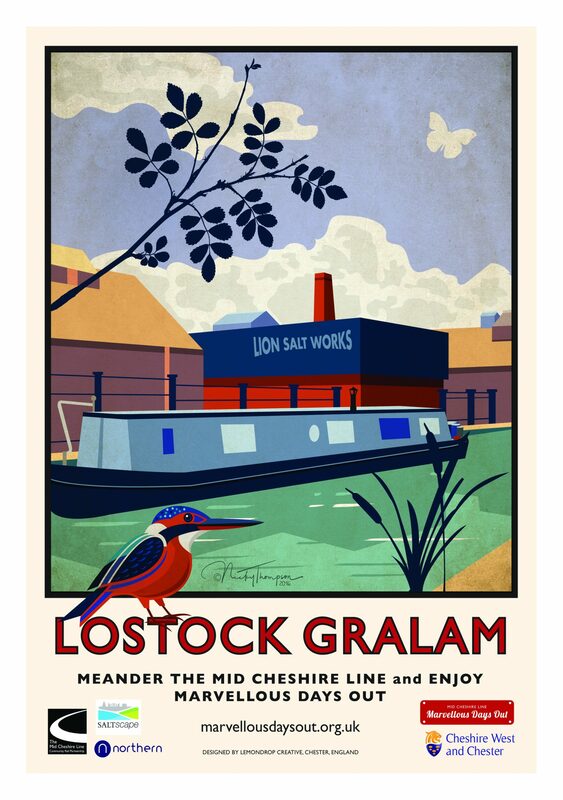 The postcards and a limited number of posters are also available at The Lion Salt Works at Marston, Northwich, Knutsford Heritage Centre, Knutsford, Staircase House, Stockport and the Information Office, Northwich, 1 Market Arcade, Northwich CW9 5AS. 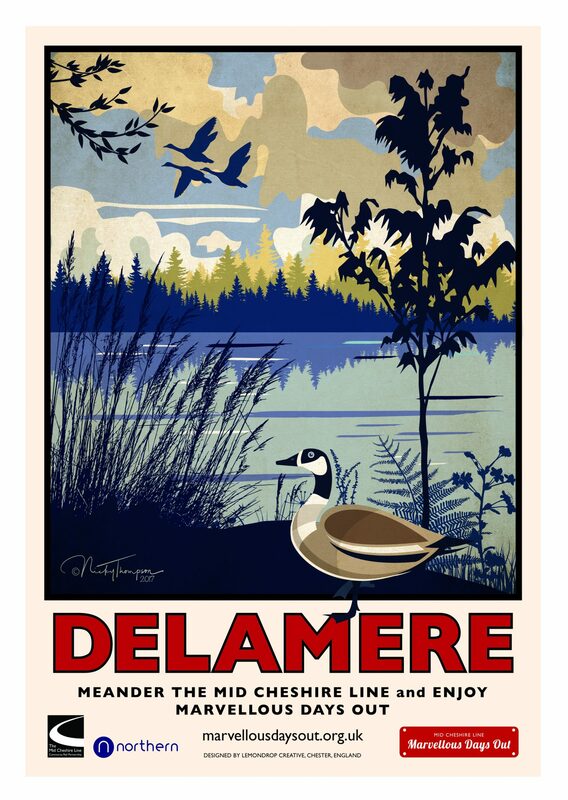 Please check with the venues before travelling as they may not have all the posters in stock. The Chester Visitor Information Centre can also take telephone orders, with credit card payments, by calling 01244 405342 or 01244 405340.